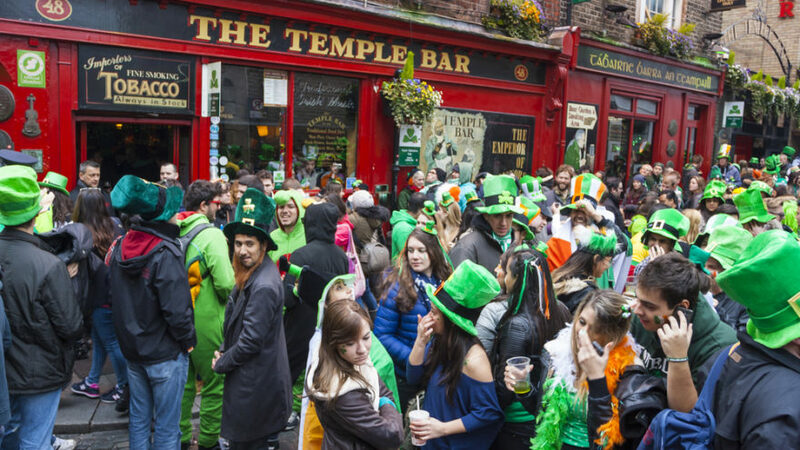 Alison Traynor shortlists some of Dublin's most festive music events taking place this St Patrick's Day. Don’t know what to do with yourself this St Patrick’s Day? Do not fear, for we’ve put together a list of some of Dublin’s most tempting St Patrick’s day music events to help you celebrate the festivities. As the old saying goes, there is no better way to celebrate St Patrick’s Day than with a whole lot of Afrobeat. For those who live by this rule, the Button Factory is hosting a musical extravaganza that includes live performances from the 12-piece Afrobeat collective Yankari, R&B, soul and hip-hop quartet Super Silly, as well as Futureboy, Tobi The Dog and Stephen Star. There will also be many DJs throughout the night, including Donal Dineen and Pablo Santos. Imagine an Irish rap act that was signed to a major level despite a weird and wonderful sound that combines hip-hop, reggae, punk, ska and jazz. No, it isn’t too good to be true, because Scary Éire did just that. It is true that their career did not take off as it should have and they initially fizzled out, but they have finally reformed and will be gracing the stage of The Sugar Club this St Patrick’s Day. Afterwards, DJ Scope and DJ Mek will keep the party going. Kelly-Anne Byrne is an impossibly cool and talented lady. I think we can all agree on that point. Synth, which is also cool (but obviously not quite as cool as Byrne), is having a moment. Considering this, there is no better way to spend St Patrick’s Day than dancing along in The Hub while this glorious woman spins electronic and disco late into the night. The best of Irish electronic tunes from Le Galaxie, Le Boom, Roisín and Daithí can naturally be expected. Music is great, but let’s face it, so is food. Phuket – Let’s Brunch will allow you to combine these two great loves of your life. Going on all day in Opium, this event involves various DJs spinning R&B and disco, while Jamie Duff performs from 3pm onwards. While you listen to all of these tunes, you can simultaneously overindulge in some pan-Asian inspired cuisine complemented with plenty of cocktails. You will even receive a welcome drink. What’s not to like? If you want to try something new, Built By All City (which forms a part of All City Records) is launching a series of parties, debuting at Wigwam this St Patrick’s Day. You can head down to Wigwam’s basement to lend some support to two of your Trinity peers, Distortion DJs Matt Finegan and Rob O’Donohoe. Fio Fa and Lone will headline the event. If live music is more to your taste, you can wander upstairs, where there will be performance by Brién of Soft Boy Records. Helen O’Dea will also feature.